The Spotzi Graph app turns your map into a powerful location dashboard. This app offers an easy-to-use framework where you can add blocks with different kinds of graphs. With the Spotzi Graph app you are able to add an extra text box, single value box, bar chart, pie chart or radar chart. A great addition to turn your location data into a true location data dashboard. When your Graphs are added you are able to simply click any feature on the map and your graphs will show the data of that particular location. The graphs are added to your Mapbuilder account, but are also added to the maps you share with your colleagues, clients or fellow students. 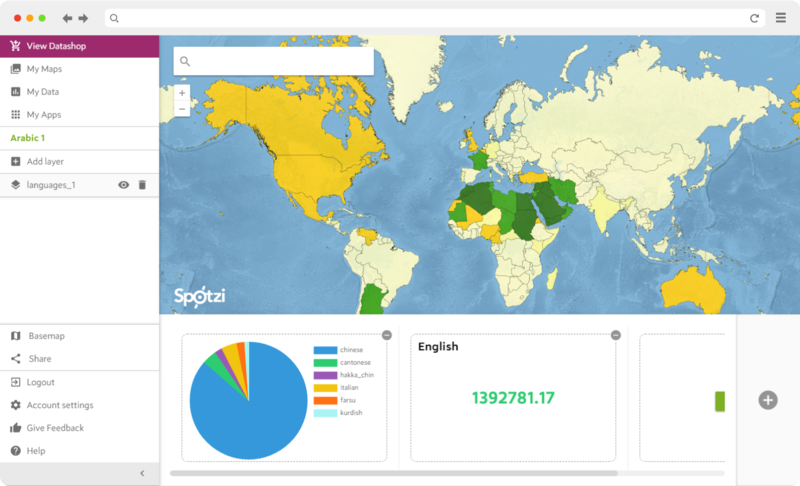 Start creating beautiful location data dashboards with the Spotzi Graph App now.